Set on the northernmost tip of The Fertile Crescent, the cradle of civilization, Gaziantep’s Islahiye Valley is rich in ancient history. The valleys in this area are broad and lush with high hills of quality basalt, which are two of the most important ingredients for establishing a Hittite city. 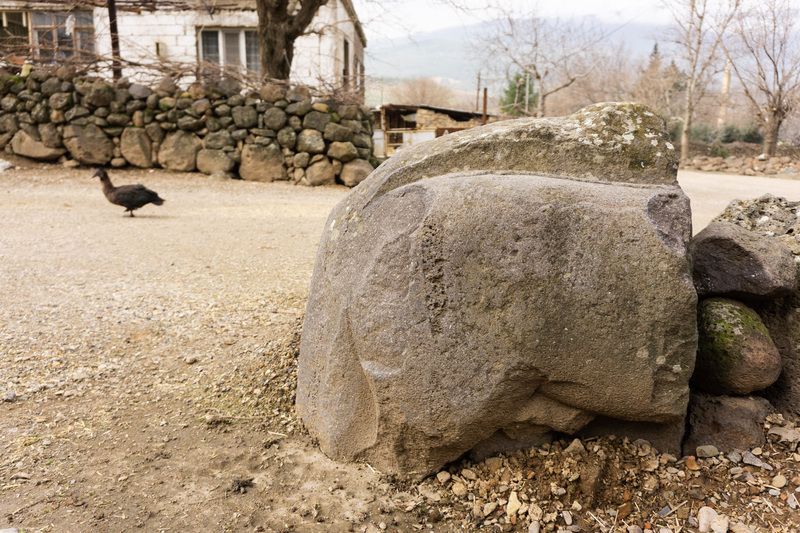 Not only did the Hittites settle in this valley, farming and building large walled cities, but they also established a massive stone quarry and statue workshop at Yesemek, taking advantage of the high-quality basalt. 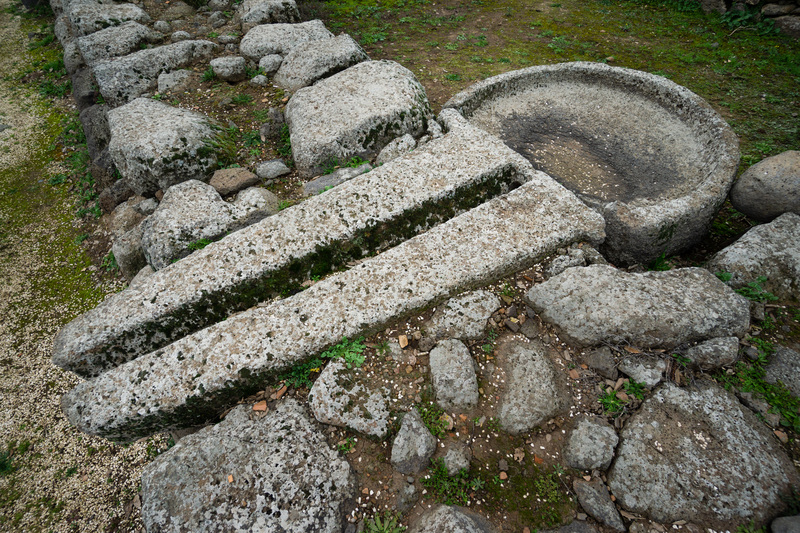 A large stone press running through a wall at Tilmen. One of the monumental gate lions ready for transport to its final location. 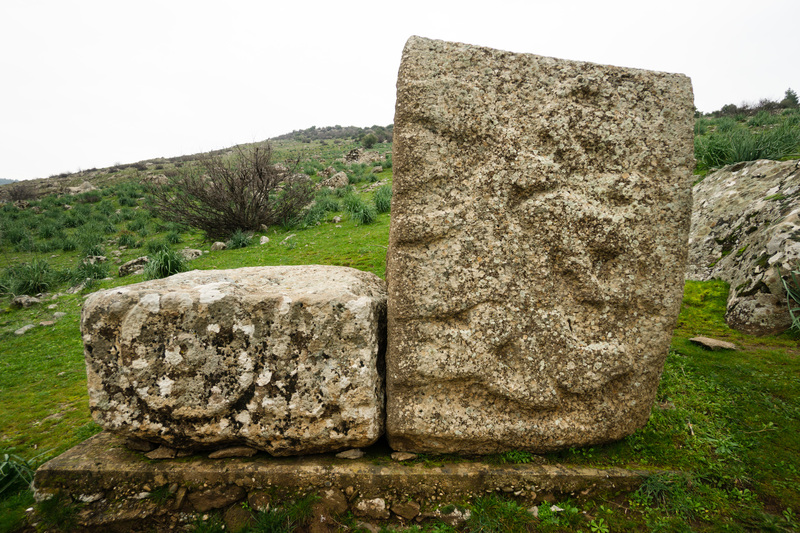 Just outside of the village of Yesemek are the remains of an amazingly unique archaeological site. The slopes above the village are scattered with the remains of a bronze age quarry and statue workshop. 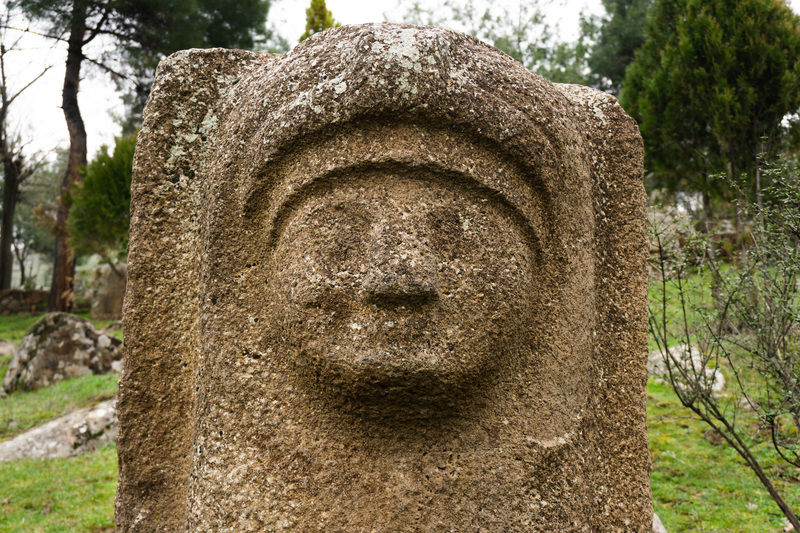 Over three hundred statues and other architectural pieces have been discovered and put on display on the hillside with some signs for explanation. At Yesemek statues were prepared but not quite completed. Rough stones would be quarried, shaped, then the rough form would be traced into the stone. Later, once the stones were installed into their final location the finer details would be carved. 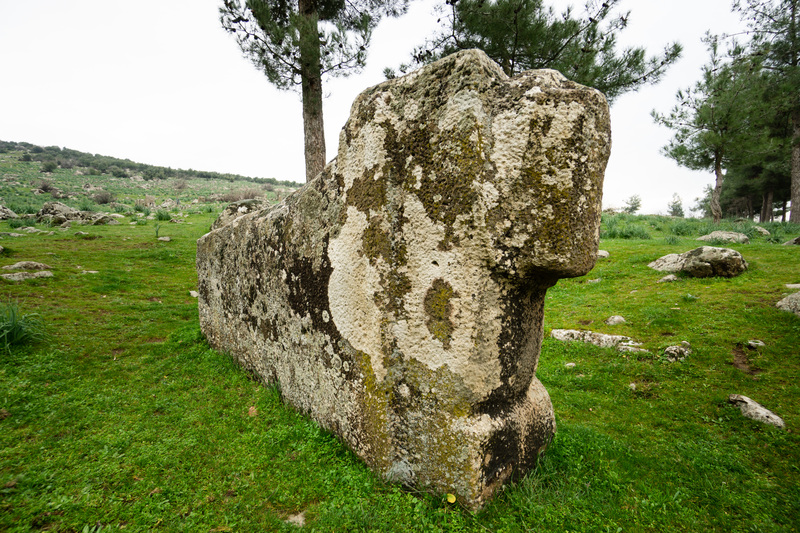 The majority of the items found at Yesemek were lion, sphinx, and mountain-god statues. Apart from these there were a handful of monumental lions weighing nearly 15 tons. Beyond these there’s also a bear-man figure and an incomplete scene depicting a chariot riding over a man. Remains of a chariot scene carved in basalt. A pair of mountain gods with sun-discs, symbols of divinity, above their shoulders. The workshop was founded by the Hittite king Suppiluliluma around 1350 BC. It was abandoned 100 years later with the collapse of the Hittite Empire, then used again by the neo-Hittite Kingdom of Sam’al (Zincirli). The Yesemek Statue Workshop was actually discovered in the late 1800’s when excavations were underway at the nearby site of Zincirli (see below). Yesemek has been on the UNESCO tentative list since 2012. 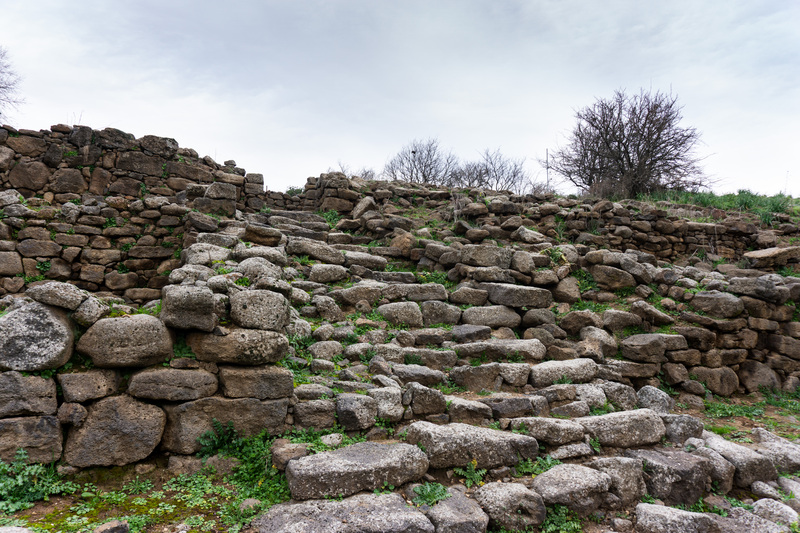 Set in the midst of an attractive marshland full of wildlife and greenery, the ruins of the Hittite city found at Tilmen Mound is a great place to visit for birdwatchers and historians alike. The settlement at Tilmen goes back to around 3400 BC (Calcholithic Age) and reached its height sometime in the Middle Bronze Age. The low hill sits in a marshy wetland, sitting in the bend of a creek; the location was likely chosen to restrict access to the city and make it easier to defend. At its height the city was surrounded by highwalls and a strong gate as well as what protection nature provided. The grand staircase leading up the hillside into the inner city. A set of stone doorways. The mud-brick and wood stuctures that once sat on top of the stone has been completely washed away. Like most bronze age sites, construction was a combination of stone foundations with mud-brick and woodframe superstructures. Fires, rains, floods, and centuries have erased everything but the stone foundations and the most interesting finds have been removed to museums, but there is still a fair amount to see. You can walk along the old walls to the gateways, up the grand staircase, and through the ruins of palaces and temples. 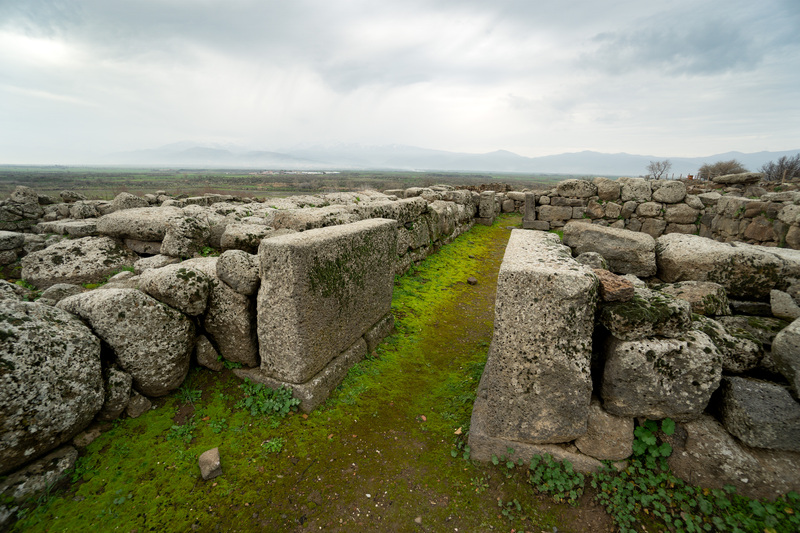 The exact name of this city is still unknown, though it is thought that it could be known as Zalpa which was said to be in the region and conquered by the Hittites whith the rest of the Yamhad kingdom. While free entry is always nice, this also means that no one is there to take money and protect the site from vandals and treasure hunters. Hopefully regular maintenance will be done even though the site isn’t bringing in revenue. Not quite as attractive in winter, the fields and marshes are brilliant green and filled with wildlife the rest of the year. 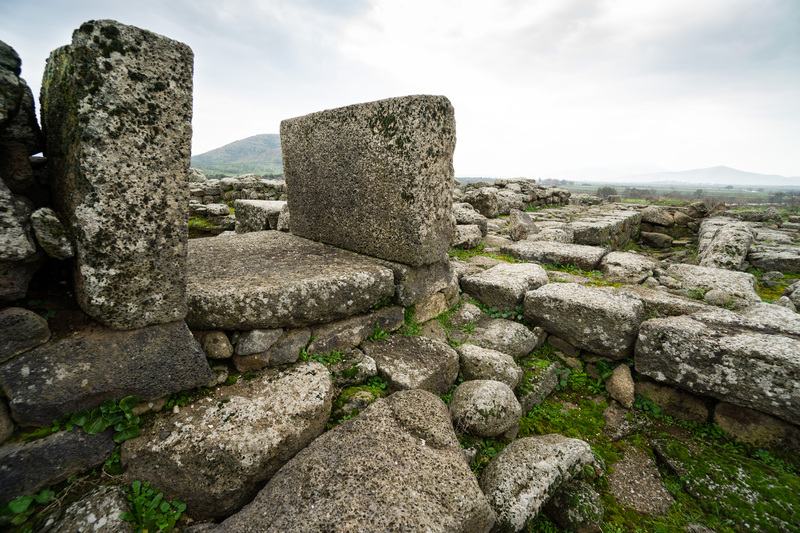 Underneath the small village of Zincirli lies the ruined capital city of the Neo-Hittite Kingdom of Sam’al. The kingdom lasted from around 1000 to 750 BC at which point the city was annexed by the Assyrians (continuing to expand they later razed the city of Karatepe). Sam’al was a rich city established along trade routes in a productive valley. It was defended by two sets of walls: an outer and inner wall. The outer wall ran in a great circle of stone and mud-brick with 100 towers and three gates set in it. The inner wall was tear-drop shaped and followed the base of the mound. The site was first excavated in the late 1800’s (in part by Osman Hamdi Bey, the father of Turkey’s Museums and an Ottoman orientalist painter) and all of the interesting finds were removed to museums in Berlin and Istanbul. Some of the most interesting works are the fine lion statues inscribed with Aramaic, Akkadian, and Luwian script. 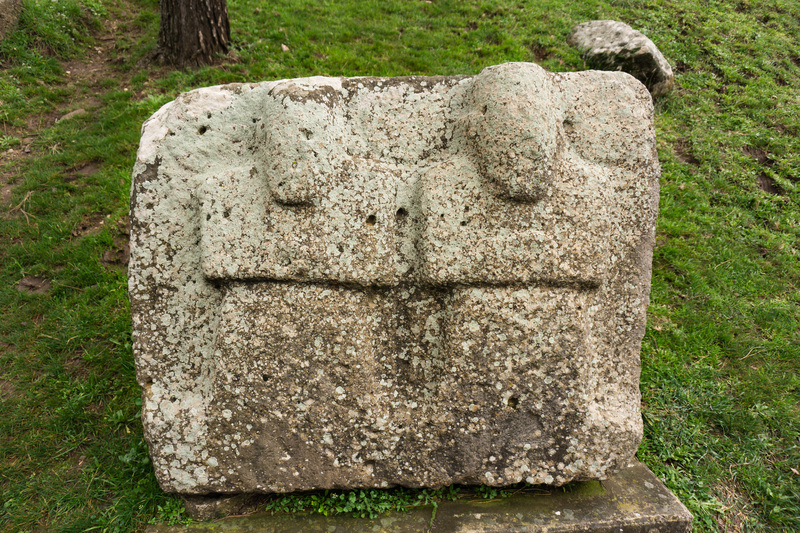 A fragment of a horse statue in a garden wall in the village of Zincirli. 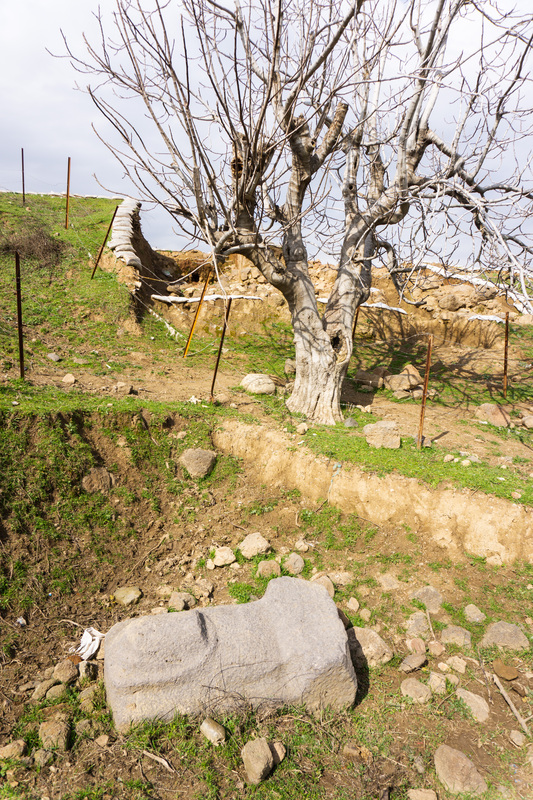 Today there is very little to see other than some statue fragments in the walls of the village and some lumpy hillsides where the excavation pits have collapsed. Out in the fields there are traces left of the outer walls though they are rather hard to find. An incomplete sphinx statue lays in a pit where it was discovered by archaeologists. If you are really ambitious it is possible to take public transit from Gaziantep to Islahiye, then the rather infrequent minibus to Yesemek (this will also pass by Tilmen). Though to get back you may have a long wait or need to take a taxi. It may be better to simply take transit to Islahiye then taxi to Tilmen and Yesemek. While this is do-able we would recommend taking a car if possible. Heading East from Gaziantep on the D400, turn left (south) towards the town of Islahiye. 11 kms down the D825 you’ll see a sign for the village of Zincirli on your left. Head past the mosque and continue on till you get to the highest point. From there you should see the dig pits below you. The statue fragments are in the town. To get to Tilmen continue south on the D825 from Zincirli until you hit the junction to enter Islahiye. There will be lots of big brown signs helping you find Tilmen which is 6 kms from the outskirts of Islahiye. 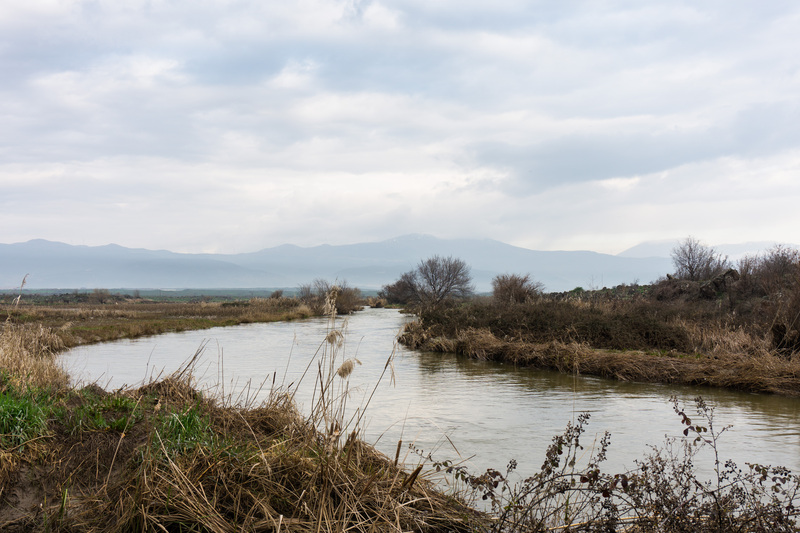 To get to Yesemek from Tilmen simply head south on the Karapolat road for 16 kms. Again, signage here is good. If there’s accommodation options in the town of Islahiye they are very limited. The town isn’t overly pleasant and is quite small. Osmaniye is 90 kms away and has a number of hotels though Gaziantep (80 kms away) is much better suited for visitors in general and is both closer and quicker to get to with more to see. Planning on visiting the Islahiye valley? Make sure to check out what other sights are in the region!